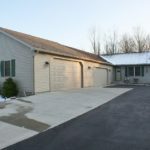 Joe Awad purchased this fantastic home near the Apple Valley Golf Course and lake in January 2019 with help from Columbus, OH Realtor Rita Boswell. Joe kindly wrote a 5 star review on both Yelp and Google. If you’re thinking about buying a golf course or lake home, it’s important to work with a professional to make the process as smooth as possible. Realtor Rita Boswell has experience helping people buy homes in golf and lake communities. Rita’s goal is to ensure her clients have an exceptional experience when buying or selling a home. And, Rita’s network of highly skilled professionals are handpicked to help clients close on their new home successfully. 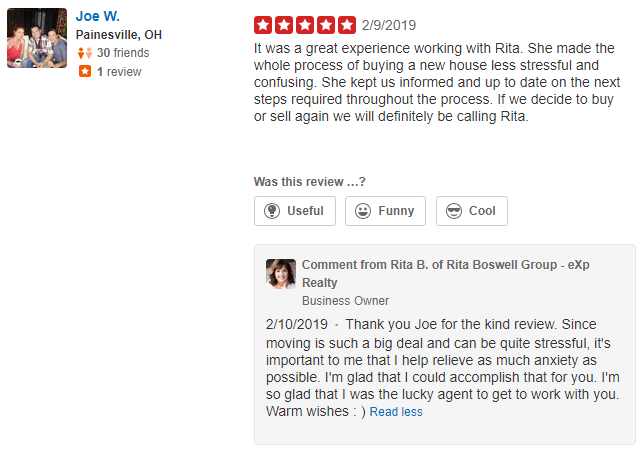 To learn more about buying a home with the Rita Boswell Group, get in touch with Rita Boswell at 614-547-3229.